This is the second public demo of Speebot, full of improvements and fixes based on the feedback from the first demo. Below is the complete changelog. After more than a year and a half, my work on Speebot is almost complete. As it stands now, the game has 200 levels spread across 4 different worlds, a one hour soundtrack, plenty of varied gameplay mechanics to enjoy, cosmetics to unlock and extra modes to try out. For the truly dedicated player there is a post-game area that is unlike anything else in the game. 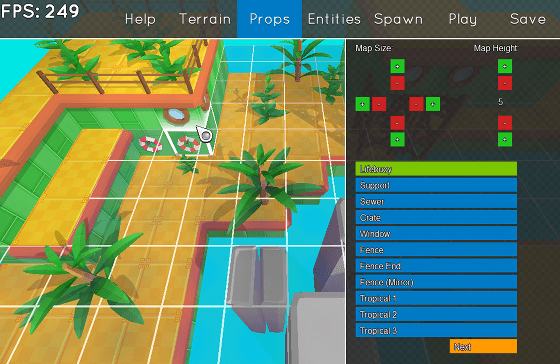 And to top it all off, there is a custom level editor built into the game to let the players create their own levels and share them with their friends. Custom level editor in Speebot. The game is very close to being finished. I am currently in the final testing phase, although there are still some things that I want to add for the Steam release. Because the game is powered by my custom game engine, it is likely that there are technical bugs that I could not find or reproduce on my hardware, and I'd like to fix them before the final release of the game. This is why I'm releasing the first public demo of Speebot today! Play the first 20 levels of the game and let me know what you think. Report any bugs or performance issues here or through my contact page. Update: second version of the demo is now available! Enjoy, and thanks for all the support! There has been quite some progress on Speebot since my last post. First of all, I've finished working on World 3 and am on my way to finishing World 4. The closer I'm getting to the end, the more time it takes to design a single level because of the increasing complexity and difficulty. 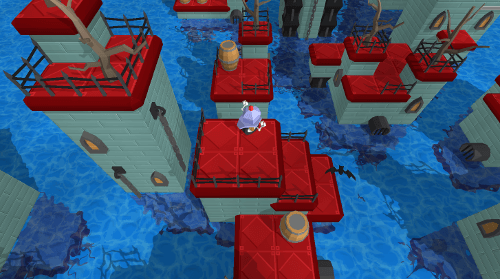 A level from the World 4 of Speebot. The new levels, as always, include new gameplay mechanics, items, and combinations of everything the player has encountered so far. Besides that, there have been various improvements to the game itself, including better analog stick sensitivity and an addition of top-down shadows. Ever since I've published the early gameplay videos, people have been asking for an option to have the character's shadow fall directly downwards. I am personally not convinced that this improves the gameplay, but added the option anyway for accessibility reasons. It can be now toggled in the Settings menu, and is specifically presented before the player plays the very first level of the game for the first time. The player can select the shadow mode that they're comfortable with. I've also made a lot of progress on the soundtrack for the game - the music for all worlds except the fourth one is complete. That means I'm almost done with this, too! Speebot has been successfully Greenlit on Steam and will be published there when it's ready for release. Thanks to everyone who voted! Lastly, Steam is having a Summer Sale until the 5th of July. Be sure to grab my game Hypnorain while it's 80% off! Hi again. Today is a big day for Speebot! And finally, Speebot is now on Steam Greenlight. Please vote for it if you'd like to see the game published on Steam in the future! Update: Speebot has been Greenlit. Thank you for all the support! Hi again, it hasn't been too long since the last blog post, but I've got a new HD video of Speebot for you. 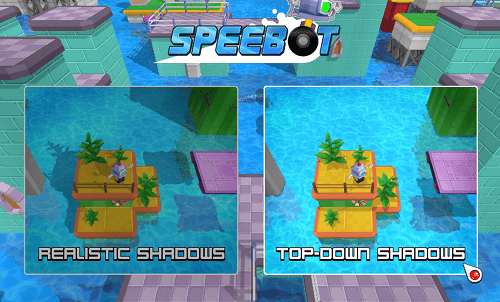 The new Speebot area is all tropical! The first stage of this world has no new gameplay mechanics yet, but those are coming very soon. I already have some ideas about what could be a fun addition to this vacation themed world, but I'm open to suggestions! If you have any ideas for new items, decorations, creatures or anything like that - let me know in the comments.